Gokulam Chit Fund had allegedly evaded tax to the tune of `1,100 crore, sources said. 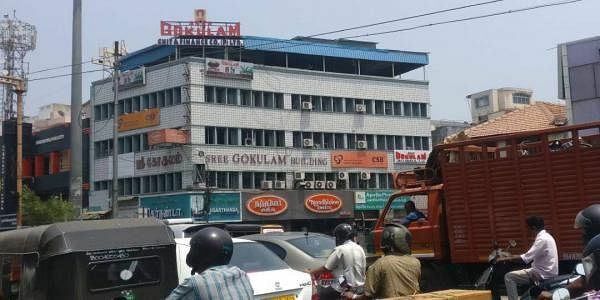 CHENNAI: Gokulam Chit Fund had allegedly evaded tax to the tune of `1,100 crore, sources said. The four-day searches carried out by income tax officials in 78 locations in three States concluded on Saturday. “Investigation is under progress, but searches concluded on Saturday. We are still conducting investigation on some foreign investments that were not shown in the returns,” sources said. The sources said the magnitude of tax evasion is similar to that was allegedly found in Muthoot Group. In August last year, the I-T department had frozen a few bank accounts of Muthoot Fincorp, Muthoot Finance, and Muthoot Mini. The focus during the investigation was to collect as much documents as possible, said an income tax department source. “We did seize some cash, but we are more focussed in the incriminating documents seized from the financial firm” said sources. I-T investigation wing is also examining whether the groups have acquired undeclared assets. The company officials couldn’t be immediately contacted for comments.